Ya hemos recogido en nuestra web una informacion en la que nos referimos a una entrada sobre el País Vasco realizada por chef Daniel Klein y la cameraman Mirra Fine, en su web The Perennial Plate. Hoy vamos a recoger otro capítulo dedicado al País Vasco que vamos a referencias por partida doble. Por su publicación en dicha web, y por ser considerado como vídeo del día en la sección de gastronomía de la web First We Feast. Un vídeo en el que se nos cuenta la especial relación entre los vascos el queso y la sidra. There is a very proud land and people that live and work and grow and eat on the green hills that straddle Spain and France and the Bay of Biscay. Upon visiting this rich culture, we spent a few days with a cider producer (Egoitz Zapiain) and a cheese maker (Urtzi Aira Urruzola) to learn about their product and their pride. Enjoy! 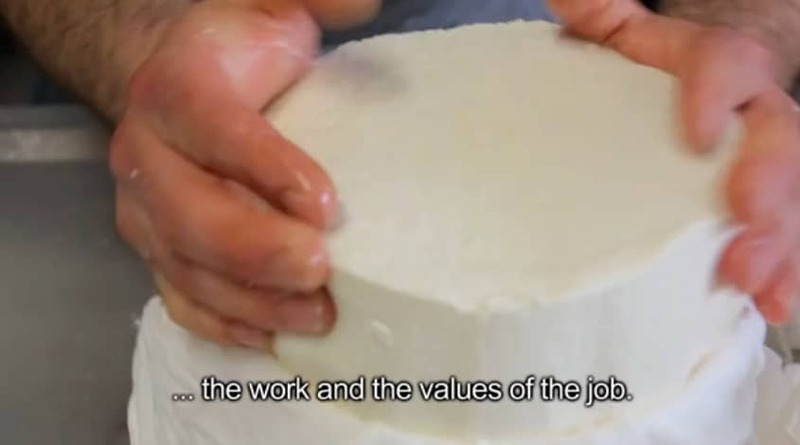 The Importance of Being Basque from The Perennial Plate on Vimeo. In the midst of Europe’s financial crisis, a couple of Basque food artisans still find a way to eat really, really well. Perennial Plate’s 122nd episode, “The Importance of Being Basque,” shows the people that live, work, grow, and eat on the hills that straddle Spain and France. The crew spends a few days with cider producer Egoitz Zapiain and a cheese maker Urtzi Aira Urruzola to learn about their product and the pride they take in their land.